The new rules of defining today's customer journey. The importance of understanding your customers’ journey hasn’t changed– but just about everything else has. With seemingly endless avenues for shoppers to explore and interact with your brand, the reality of today’s shopper journey looks more like a chutes and ladders game than a set of linear, predictable paths to purchase. While customer journey mapping might be more complicated in today’s world, fully understanding the nature of where, when, why and how shoppers navigate purchase journeys– both online and off– will help your brand develop a consistent shopping experience that meets their needs and exceeds expectations. Download our latest shopper journey infographic to learn more about the six key principles for accurately capturing– and expertly navigating– today’s customer engagement journey. Thanks for downloading! 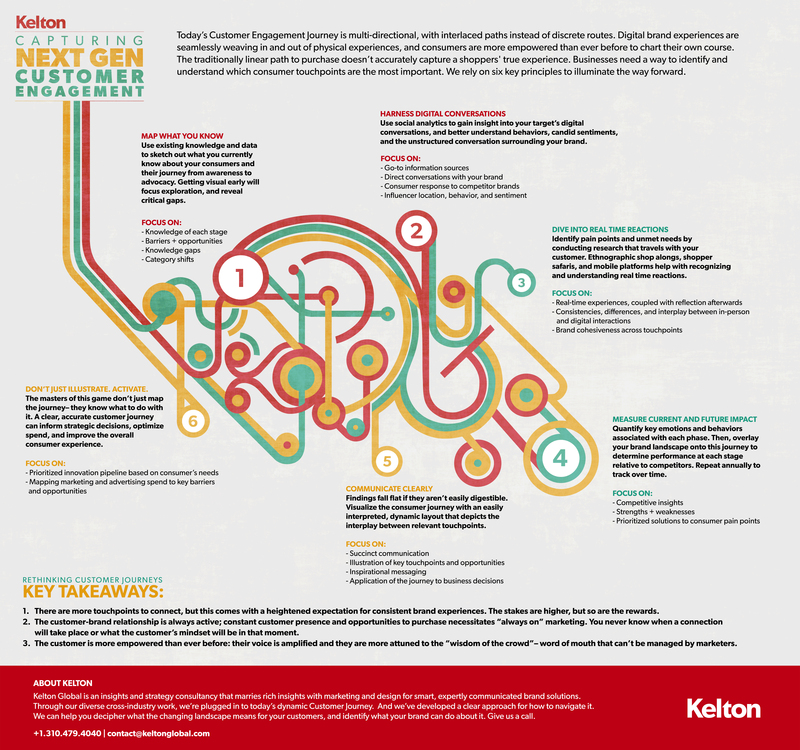 Click below to access your Customer Mapping Infographic.